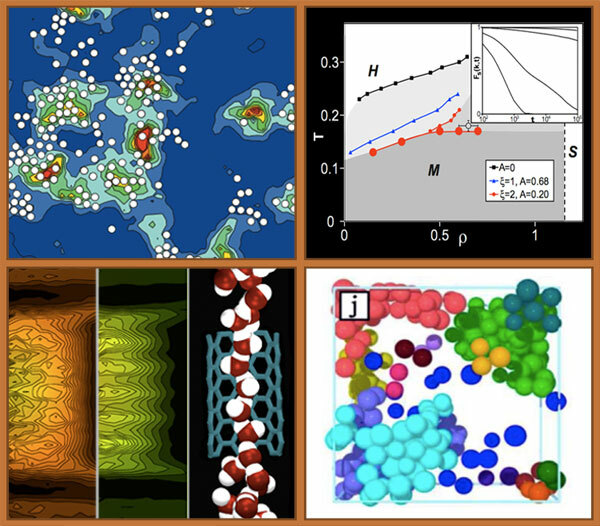 Research in the Reichman group is directed towards a theoretical understanding of both fundamental and applied aspects of the structure and dynamics of complex condensed phase processes. The group makes use of both analytical and computer simulation techniques to investigate the behavior of a wide variety of topics. A brief summary of the topics of current interest in the group are presented on the Research page. Clockwise from top-left, figures are from Refs. 73, 60, 55, and 49 on the Publications page.